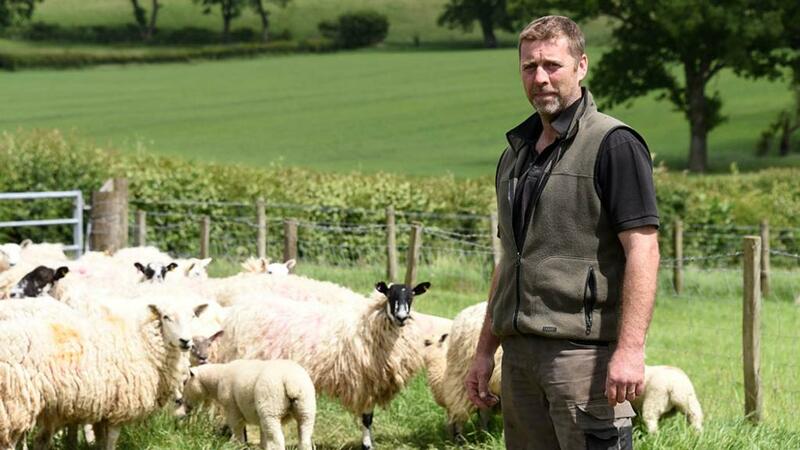 Powys sheep and beef farmer Jonathan Francis has planted almost 20,000 trees since 2014 to improve field drainage, grass growing conditions and livestock management. Hannah Park visited him to find out more. Integrating trees into the farm business at Tyn-Yr-Wtra Farm, Caersws, has proved to be a valuable enterprise for fourth-generation farmer Jonathan Francis. Since 2014, he has planted close to 20,000 trees on the family’s 160-hectare (395-acre) farm which has brought with it numerous benefits, such as mitigating against soil erosion, creating shelter belts and improving biosecurity by creating natural boundaries. Mr Francis continues to work alongside Coed Cymru adviser Mike Richards and woodland conservation charity the Woodland Trust on two plantation projects he has now undertaken with the help of agri-environment schemes. 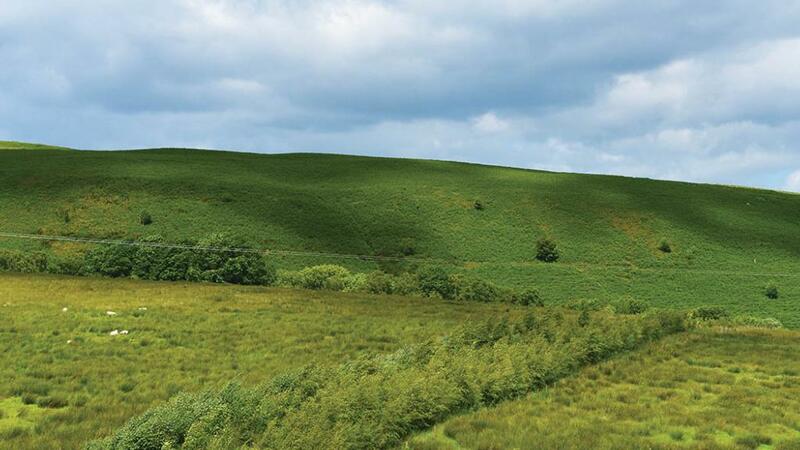 This began with the Glastir Woodland Creation Scheme which has so far seen 2.5 miles of fencing erected and 6.1ha (15 acres) of tree planting undertaken, supported by the second, a tailored Woodland Trust administered planting scheme as some plans did not fit Welsh Government grant eligibility at the time. This has allowed Mr Francis to work towards what he wants to achieve from tree plantations. For Mr Francis, it is about ensuring plantations complement the farm’s output, an enterprise which runs 400 Whiteface and North Country Mules and a 60-head suckler herd of Hereford cross and Salers cattle. Mr Francis explains he has not, and has no plans to, reduce stock numbers since he began planting trees at Tyn-Yr-Wtra and he has taken no productive land taken out of production as part of the schemes. “The first plantation we put in was a 400-metre line of trees. Surface water run-off was causing huge soil erosion problems, leading to a loss of land alongside watercourses in certain fields. Tree plantations provide shelter to the farm's flock. Shelter belts were planted which split an area of hill ground into paddocks. Mr Richards agrees pointing to research carried out at a group of farms farms in Pontbren, Powys. “The research showed within three years of planting, particularly on a slope, water infiltration rates were improved 60 times compared to grazed pasture. Now planted, this block follows the landform, rather than having a consistent width, and ranges from about 3m to 9m across. About 3,000 trees are planted on this block, of varying native species such as birch and hazel. Three shelter belts, in linear strips, have also been planted in a 25ha (63-acre) area of previously unenclosed hill ground which has split the area into four paddocks of 8ha (19-acres), 6ha (15.5-acres), and two 4ha (10-acre) blocks. Each strip is around 350m long and 16m wide. “This has made the block more manageable,” says Mr Francis. “I can gather sheep from here on my own and run the blocks as a paddock grazing system for the sheep now. A standalone 1ha (2.5-acre) field has also been planted in an area which Mr Francis says could not be used for grazing as it was so wet, but it has done well as habitat creation in the scheme. “We have already noticed an improvement to the quality of the ground,” he says. “Waterlogging problems we used to see where the first trees were planted have gone and soil compaction has also reduced. “I am more confident about biosecurity now and feel we have reduced the risk of disease transmission, which will improve as plantations become thicker once fully established. About 53ha (130 acres) of the farm’s total 160ha has been reseeded over the past 10 years, with 20ha (50 acres) of wholecrop and stubble turnips grown annually on a rotation system. The rest is comprised of permanent pasture. As well as the main Whitefaced Mule flock, this also supports 60 North Country Mule ewe lambs, bought privately for the first time this year. Most of the flock start lambing on March 10, with the ewe lambs around three weeks later at the beginning of April, all indoors. Ewes will generally scan at about 185 per cent, with the ewe lambs scanning at 133 per cent this year. Mr Francis says: “In-lamb ewe lambs are offered creep feed in the lead-up to lambing and after, until about mid-May, depending on grass availability. “The main flock is fed red clover silage alongside a small amount of creep pre-lambing, which is continued for about a month after they lamb, depending on the season. Ewe lambs are put to the Charollais and Ryeland ram, with the ewes to the same alongside the Texel. “The earlier born lambs are offered creep, with a view to start drawing off the lamb crop from mid-June and lambs are weaned at about 12-14 weeks. The sheep run alongside a 60-head suckler herd, made-up of Hereford crosses and Salers. Spring block calving starts from around April 15 for about two months, with cows put to a Salers or Charolais bull. The strongest Charolais cross calves are sold off-farm as stores in the main, with Salers heifers retained as replacements as the herd moves towards this breed. About 15-20 animals are generally kept to finish each year and sold at about two years old. An advocate of the benefits trees have brought to his farming system, Jonathan is keen to carry out more boundary planting work in the future, particularly on hedgerow restoration and boundary work. 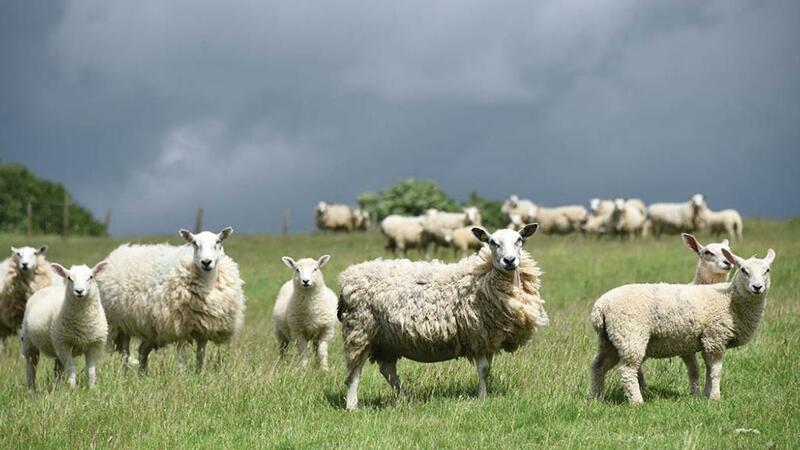 The NSA and Woodland Trust are launching their new ‘sheep and trees’ guide at the NSA sheep event, which will provide information on integrating trees into farmland. Visit the NSA stand at the NSA Sheep Event this year or stand 142 to pick up a guide and find out more.